in our Dripping Springs olive grove & our downtown Austin retail locations. until it can provide catering to the downtown location. Thank you for your loyalty and understanding. 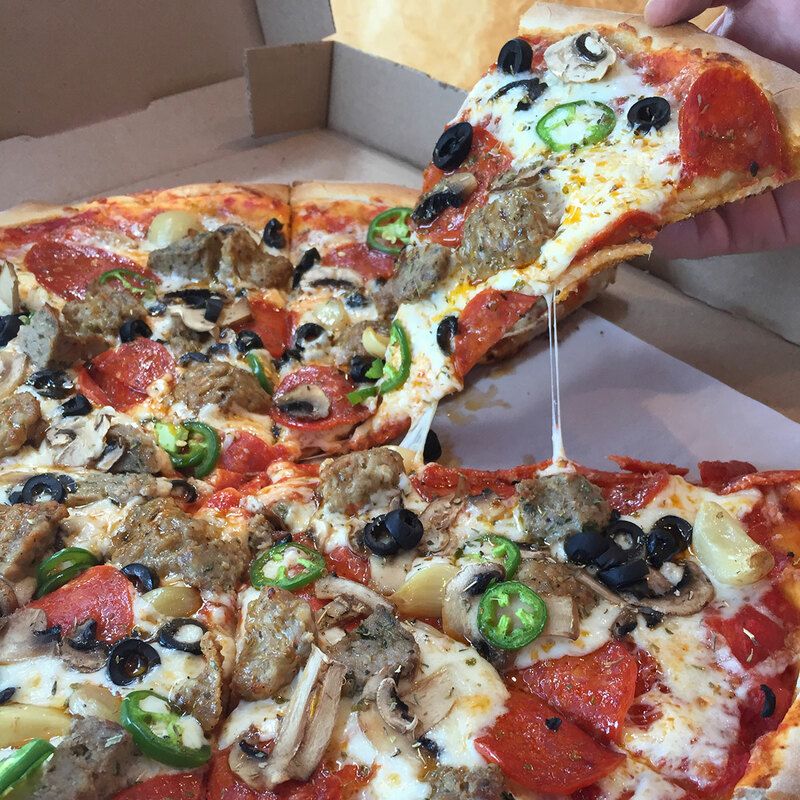 Spicy Sausage, Crushed Meatballs, Pepperoni, Black Olives, Fresh Jalapenos, Mushrooms, & Roasted Garlic. This thing is a monster! 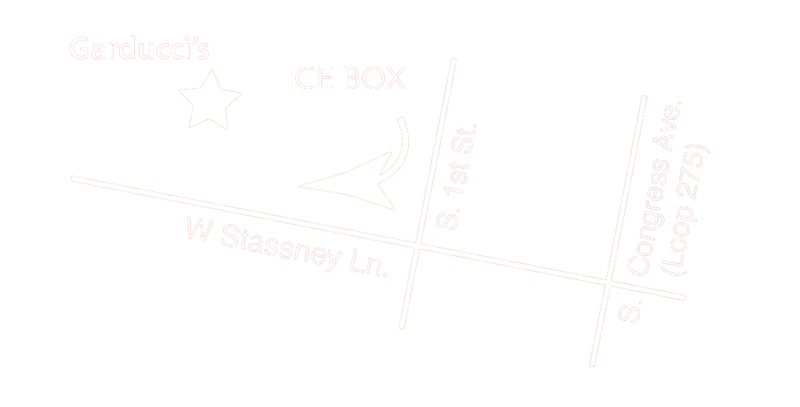 "You can't miss us, we're hiding behind the Giant Ice Machine"
We also cater to large groups. Mamma and Guido Garducci immigrated to America from the homeland in 1915. Upon settling in their adopted country, they grew a very large family consisting six boys (Guido Jr, Carmine, Luigi, Anthony, Giovanni and Enzo) and seven girls (Maria, Contessa, Antonia, Catarina, Flavia, Isabella and Arrivederci). The boys came first and then the girls. Raising twelve kids was extremely difficult, especially during those days. Adding to the hardship, Mamma was pregnant with number thirteen, the pressure was too much for poor Guido. He had strayed into the arms of the sausage maker's daughter. They ran away together just before the birth of Guido's and Mamma's youngest child, Arrivederci. Mamma certainly had her hands full, with little means of support. She did have a talent for making meatballs and pizza, however. These recipes were handed down for generations and the secret ingredients always closely protected. The only thing she would share was that her meatballs were made of beef, pork and veal. (It was rumored that in 1796, great great Grandmamma Garducci went into jail for refusing to share the recipes with the local count). Pizza was Guido's favorite, and try as she might, Mamma just couldn't make a bad pizza. Times were so desperate, Mamma was forced to trade her famous pizza and meatballs for goats, sheep and other items the family needed. Her neighbor, the local lettuce farmer, refused to trade with the Garducci's as the farmer's wife was very suspicious of Mamma's cooking. In order to get greens for her children, Mamma had to sneak onto her neighbor's farm and steal lettuce so the children could eat at least one vegetable. The neighbor's wife caught her in the act one night and told the entire village. All the kids in the schoolhouse teased the Garducci children and said they eat "Insalata di Ladri" or "Thieves Salad". The name stuck and became our house offering. When her children were older, Mamma took a job at a local home for girls, even though she was of high moral fortitude. She needed to feed her family and the home for girls started featuring Mamma's pie and balls nightly. Her sons were always there to help and they became locally infamous and sought after. 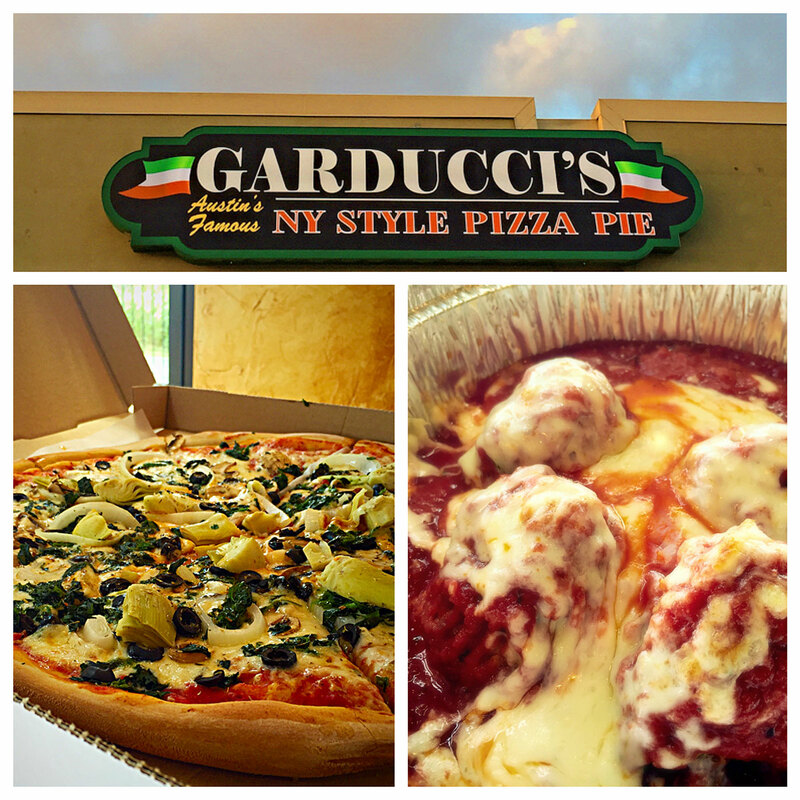 Even though making pizza would remind Mamma of Guido, she would always pour her heart and soul into every pie. Sometimes the children would see Mamma weep while making the pies. However, with one of the toppings, the crushed meatballs, Mamma would always wear a mischievous smile. 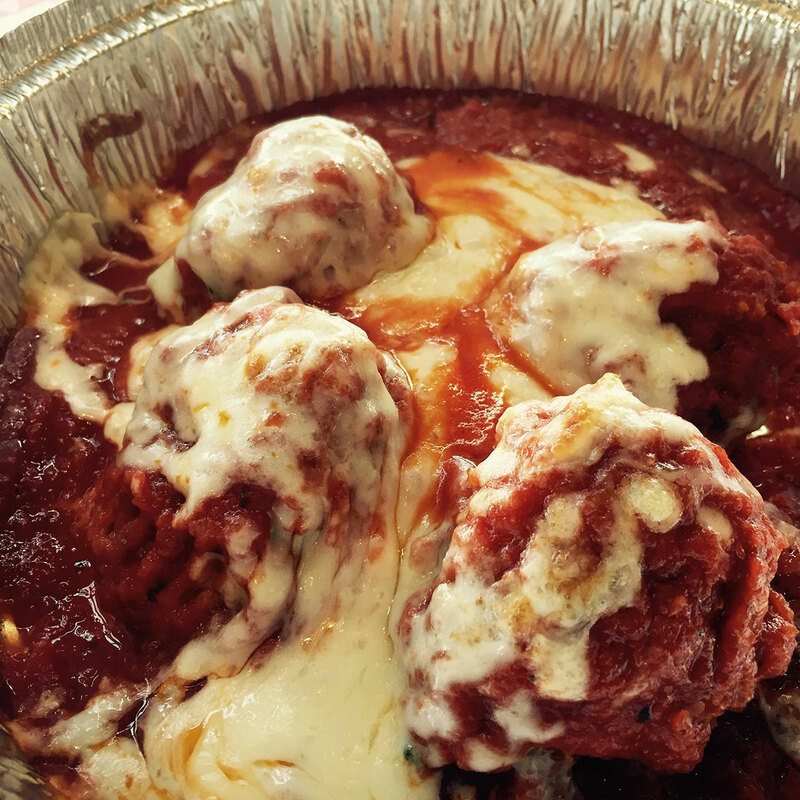 Since the crushed meatball brought her joy, they are featured in Mamma's signature offering, "The Guido". 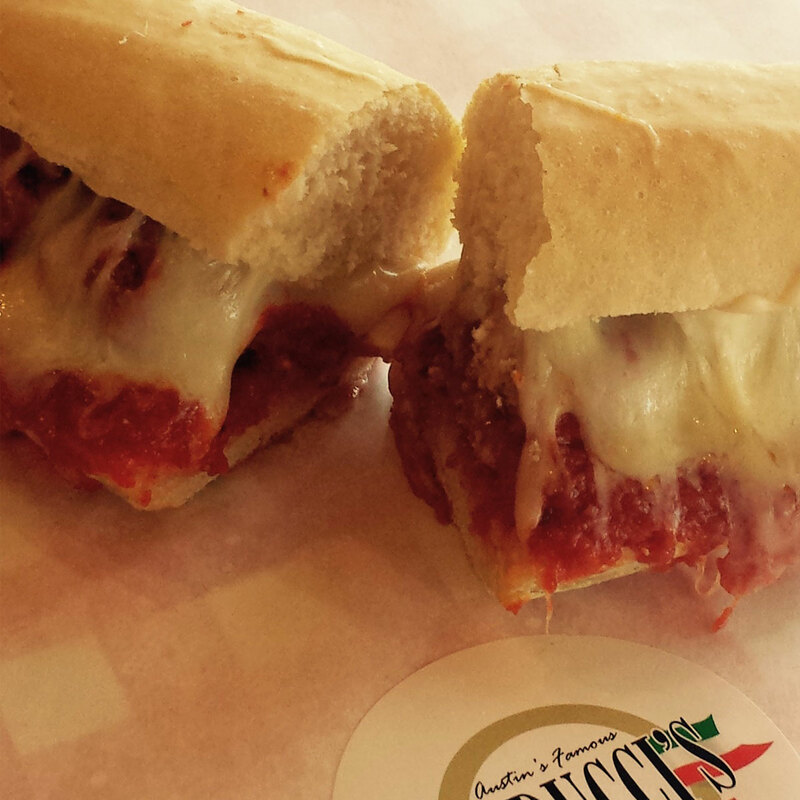 Mamma reluctantly shared some of her secrets so we could bring you Garducci's Pizza Pie and Meatball sandwiches. Enjoy! Mangia!